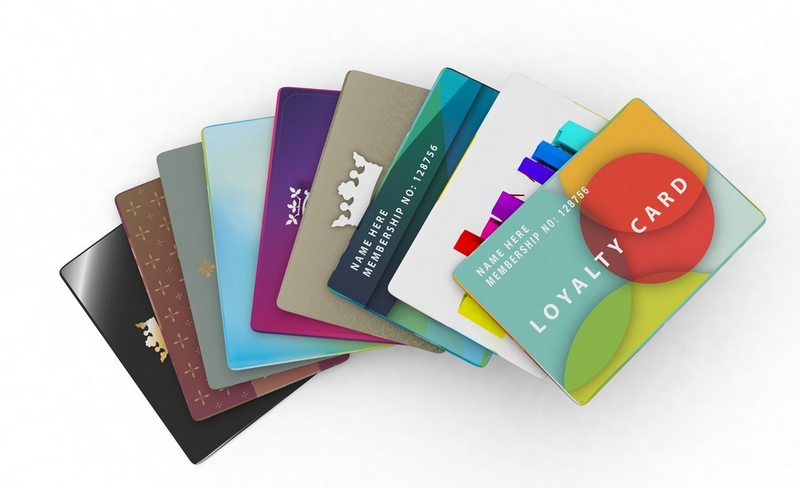 Loyalty programs are not new and many large retailers are looking to take loyalty schemes to the next level, and go beyond simply offering rewards. Nordstrom, for example, has recently revamped its loyalty scheme to offer personalized shopping experiences and exclusive access to products and events. But according to a recent study by Visa, only one in five SMBs offer a loyalty program, so smaller retailers who implement a loyalty program could gain a significant edge over their competition. The Visa study, Digital Transformation of SMBs: The Future of Commerce, found that 92% of consumers rate loyalty programs as something they would consistently look for when choosing to spend in a store. In fact, 65% of consumers surveyed said they look to see if a business has a loyalty program prior to shopping at a store, visiting a restaurant, or trying out a service. When businesses do oﬀer loyalty programs, about half of their customers enroll. 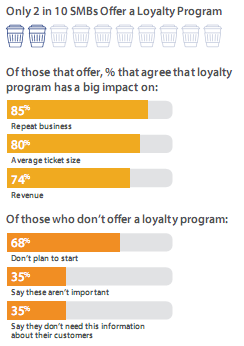 Close to 80% of these businesses say loyalty programs have a positive impact on average ticket size, repeat customers, and revenue. Loyalty programs have been around for a long time and the first schemes were set up nearly 40 years ago. Perhaps for that reason, they are not seen as a priority area for investment by many smaller businesses. When Visa asked businesses that don’t already have a loyalty program if they planned to set one up, most replied that they did not. A third said that a loyalty scheme was not important and/or they did not need the information about their customers, even though 62% of SMBs agree that business is highly dependent on customer loyalty. Businesses that ignore the potential of loyalty programs are missing out on an opportunity as customer loyalty programs are often one of the simplest ways to boost a business’ revenue and profits. According to McKinsey, loyalty programs can generate as much as 20 percent of a company’s profits, if done well. Yet too many loyalty schemes fail to achieve their objectives, and often that’s because the objectives are not clearly defined. First, a retailer must decided what it wants the loyalty program to achieve. Is its main aim to win new customers? To increase wallet share? Or to save money? Knowing your goal means you can target the right customers and design the right benefits. Then you need to to identify the customers who are really valuable. “The real payoff from loyalty programs comes from locking in those customers who drive profitability,” says McKinsey. Standard metrics used in the loyalty program – frequency of purchase, for example – may fail to identify high-value customers who shop infrequently but generate most profits. The final stage is to build a program around the customers that generate value. With a modern POS system it is much easier to integrate a loyalty scheme into your retail system and Openbravo makes it even simpler! To find out more about how Openbravo can help you implement an effective loyalty scheme watch our on-demand webinar, “Hands-on Demo: Engage and Motivate your Customers with a Loyalty Program”.